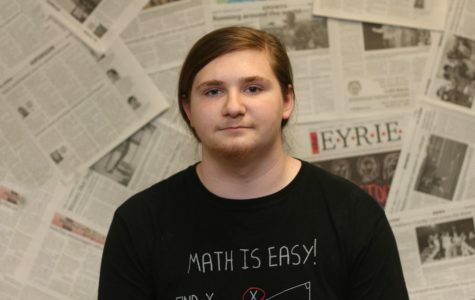 Tristan Allen, senior, is an editor for the 2018-19 Eyrie. 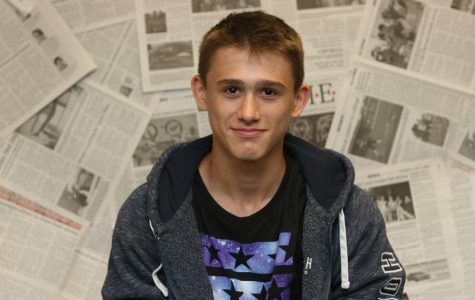 In his free time, Allen likes to follow the NBA, play videogames, and watch television. This is his third year on staff. 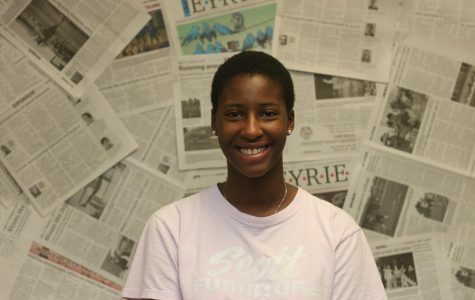 Khadija Ceesay, senior, is the opinion editor for the 2018-19 Eyrie. 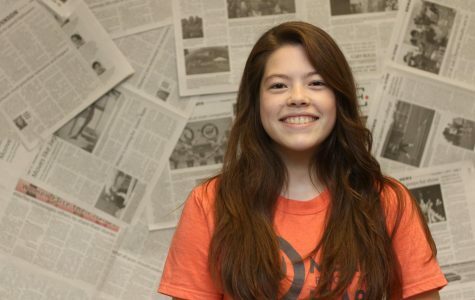 She enjoys participating in theatre, writing poetry and doodling on her free time. This is her third year on the staff. 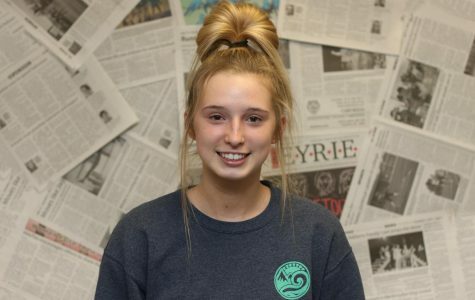 Faith Holliday, junior, is a reporter for the 2018-2019 Eyrie. 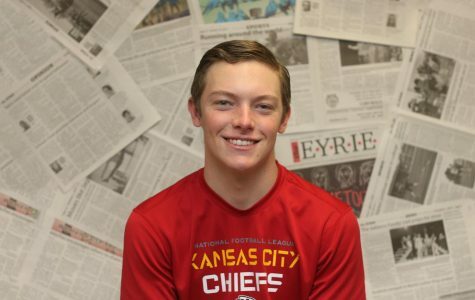 Outside of journalism, Holliday enjoys playing the violin, petting dogs, and learning different instruments. This is Holliday’s second year on staff. 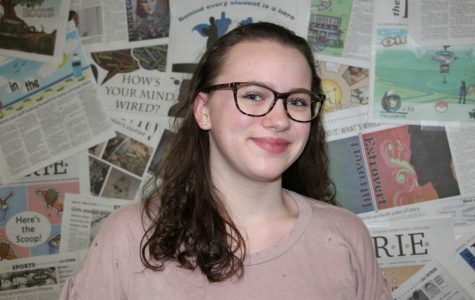 Maddie Black, junior, is an editor for the 2018-2019 Eyrie. She is also involved in choir, choir leadership team, and is in all AP classes. She is also a photographer for the Eyrie. This is her third year on staff. 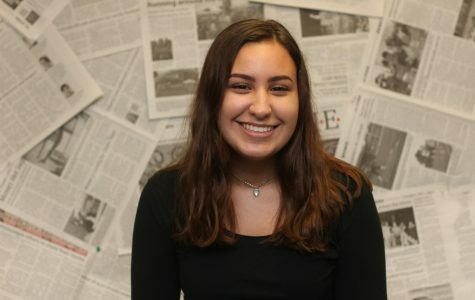 Megan Stoerman, junior, is a reporter and photographer for the 2018-2019 Eyrie. 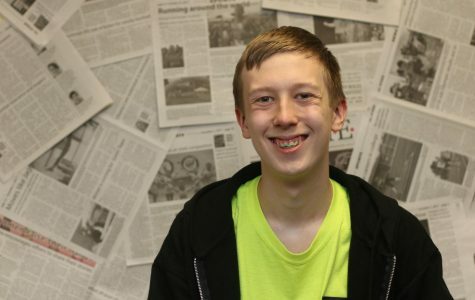 Other than journalism, Stoerman is involved in choir, Falcon Mentors, the Writing Center, and Quill and Scroll. This is her second year on the staff. 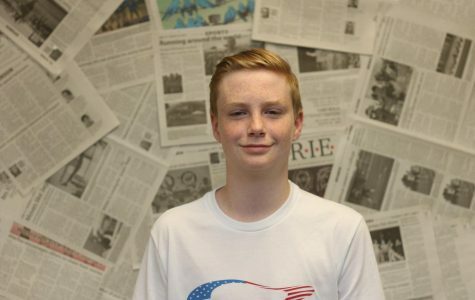 Mark Elliott, freshman, is a reporter for the 2018-2019 Eyrie. 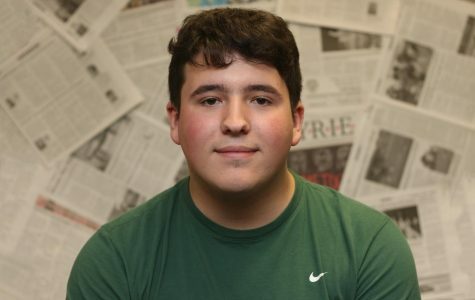 Outside of journalism, Mark enjoys football and baseball. This is his first year on staff. 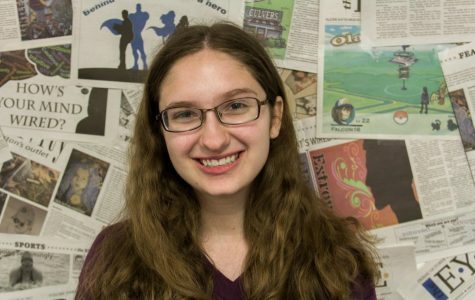 Aly Gad, freshman, is a reporter for the Eyrie. In her free time, she likes playing/listening to music, thrifting, and photography. 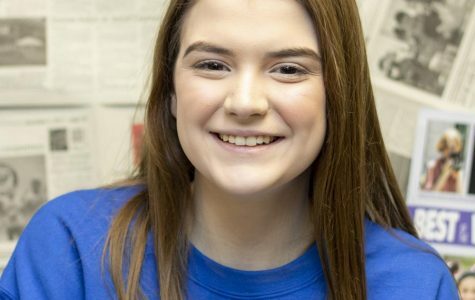 She is also a part of the Olathe South Orchestra and loves coffee. 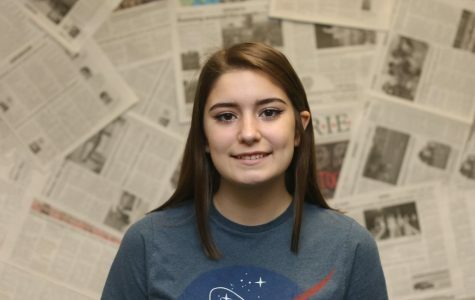 Emily Gray, sophomore, is a reporter for the 2018-2019 Eyrie. 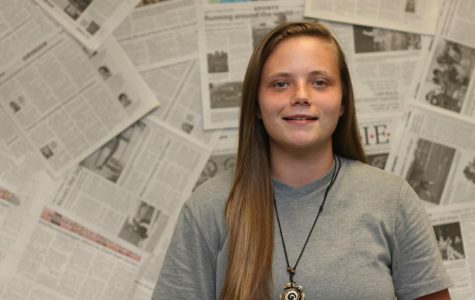 In her free time, Gray enjoys reading, hanging out with her friends, and playing with her siblings. This is her first year on staff. 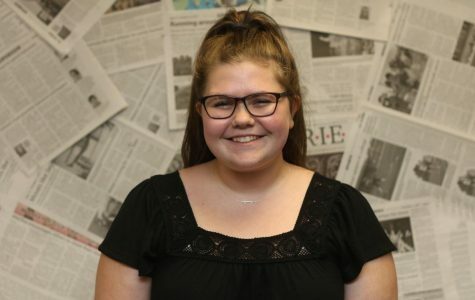 Hailey Horton, sophomore, is a reporter for the 2018-2019 Eyrie. 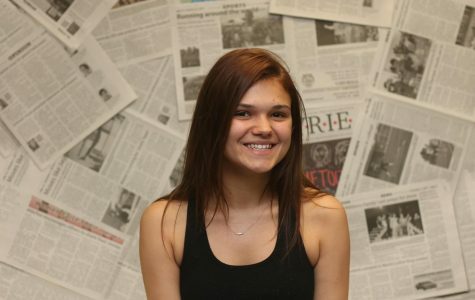 Other than journalism, she enjoys photography and is on the gymnastics team. 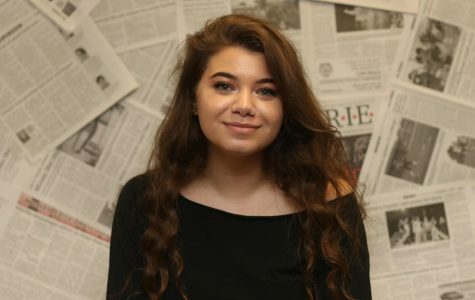 Nalia Lowry, sophomore, is a reporter for the 2018-2019 Eyrie. This is her first year on staff. In her free time, she enjoys hanging out with her friends and going to fun events. 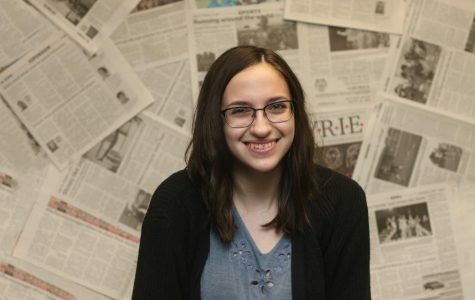 Amanda Turvey is a reporter for the 2018-2019 Eyrie. This is her first year on staff and she enjoys hanging out with her friends. 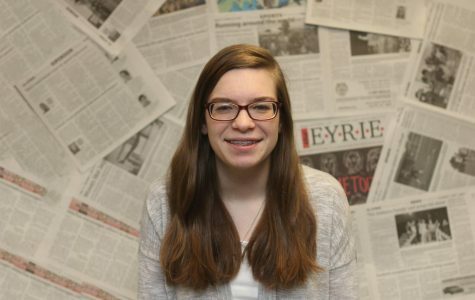 Paula Shockey, a senior, is a photographer for The Eyrie. Paula has been involved in many activities at Olathe South in the past 4 years, but this his her first year on the staff.